Insurance industry is currently on a digital mission to offer contextual and value-centric products and offerings to its customers driven by the change in customer and market expectations, technological disruptions, and the emergence of new kinds of competition [Worldwide Digital Transformation Use Case Taxonomy, 2017: Insurance (Doc # EMEA42769517)]. We believe that cognitive/AI systems can present effective options to help accelerate this transformation journey to achieve this digital mission and stay competitive. Cognitive robotic process automation [RPA] is one of the most prominent applications of cognitive technology emerging in insurance. 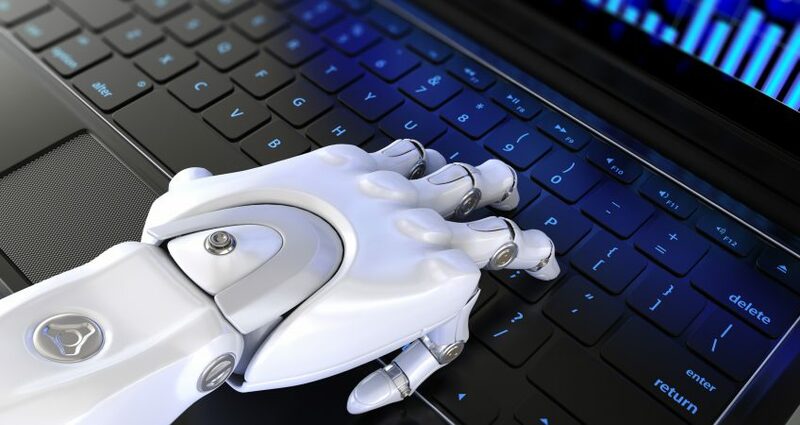 With the integration of cognitive technologies, RPA is making its way to the front-office operations of insurance organizations (both carriers and intermediaries). Cognitive RPA, also known as intelligent RPA or simply intelligent automation in the form of robo advisors, chat bots, and virtual insurance agents, is expected to have a significant impact on customer engagement roles in the industry in the coming years. U.S. Insurer Allstate has employed a chatbot called the Allstate Business Insurance Expert (Abie) to help insurance agents in the quotation process for complex insurance products. An online insurance agency called Insurify has employed a virtual advisor called Eva to speak to its customers. Grange Insurance, Nationwide and Safeco have partnered with Amazon on its cloud-based virtual assistant device to help customers find local independent agents and provide information on insurance products. Chinese hometown search engine Baidu uses Artificial Intelligence systems to discover patterns that can be used in insurance underwriting. AIG has invested in a startup company called Human Condition Safety to offer a solution that combines wearable technology with AI to track workers’ safety in factories. These examples reflect a certain optimism in the industry currently towards the technology. Insurance organizations can leverage cognitive systems and cognitive RPA to improve customer experience, decision making, and operational efficiencies. Most incumbents deal with large amounts of repetitive and rule-based tasks which use structured data inputs. A good starting point would be to automate these tasks to enable a reduction in cost and error rates and improvement in productivity and efficiency. However, in the past, this has often proven difficult, or not cost-effective, due to the inflexibility of previous generations of the technology: they are unable to cope gracefully with exceptions, and are very sensitive to changes in the systems, inputs and outputs, implying high levels of maintenance. Intelligent systems are more robust in the face of change and exceptions. Therefore, as a next step, organizations can adopt intelligent systems to leverage both structured and unstructured data from different internal and external data sources and transform the experience of customers and workforce across various lines of business such as auto (motor), home, travel, and commercial insurance. If used the right way, Cognitive and Cognitive RPA can help transform insurance business functions like Customer Engagement, Insurance Sales and Customer Service, Underwriting and Risk Management, Claims Management, Fraud Handling, Marketing and Proposition (Product) Management, Regulatory Reporting. To effectively reap the benefits, insurance organizations need to have a clear strategy as well as the right skills and partnerships in place. IDC has recently consolidated its findings and guidance on cognitive systems in insurance in the IDC Planscape Implementing Cognitive Systems in Insurance Organizations (Doc #EMEA42877517). This report aims to help business and IT executives understand what cognitive systems are, why they are relevant, and how they can be used to improve customer experience, decision making, and operational efficiencies across various business functions. The study also helps organizations build the business case and a road map to implement the technology. IDC will be closely following this topic and its impact on different industries in the coming months. For an overview of the current and planned deployments and spending plans for AI in European financial services industry, check out our research Artificial Intelligence: From Science Fiction to Business (Doc #EMEA42851017). This is aimed at technology buyers to help them identify trending themes around AI, machine learning, and cognitive systems and compare their AI strategies against industry benchmarks. Watch out for some interesting discussions around analytics and cognitive computing in the banking and the insurance industry in our upcoming Financial Services Forum.